Here you can search for Houses in Las Vegas, save your favorite real estate MLS searches, and request to see homes for sale. Learn about mortgages available to Canadian Nationals and let us help you navigate the purchase and sales processes. 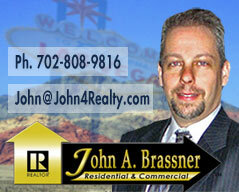 We have particular experience with foreign non-residents purchasing investment and vacation properties in Las Vegas. Questions? Contact us, john@john4realty.com. How to buy a home in Las Vegas if we are from Canada? Click here!